It looks like Battleborn really dropped the ball with its lack of checkpoints, something that's currently one of the more consistently requested features among players. The lack of such a crucial feature really came to light during an in-office team chat that highlighted 40+ minute missions, with no saving, in a slightly glitchy game aren't fun. Who knew? 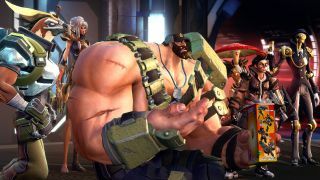 Gearbox doesn't seem to be responding to the issue currently, and is mainly dealing with people who can't access new character Alani. The latest patch notes are focusing on gameplay balancing, while on the forums the chatter mainly has a similar vibe - the missions are too long and the game too glitchy to not have checkpoints (although, in fairness, there are some preferring the challenge). What do you guys think? Anyone playing Battleborn and wish it had better checkpointing?